Daniel and Esther were young adults living in a secular world, who went against their societal norms, living their lives for God. This young adult Bible study is named after them. 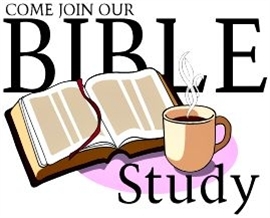 It meets on the third Saturday of the month at 6:30 pm in a variety of locations. Designed to prepare young adults to face the current culture, the Daniel and Esther study is open to believers and those seeking to understand what Christianity is about. In the U.S. today, there are over 50 million people between the ages of 18 - 35 who can be used by God by using their gifts for the benefit of people and the Kingdom of God. Daniel and Esther were young adults when they faced the huge pressures of the political and social world of their day. This young adult Bible study, named after them, is for those who are post-high school, single and married without children, from ages 18 into the 30's. Meeting on the third Saturday of the month at 6:30 pm, we gather to read and discuss the Bible, ask questions, hang out, and of course, eat. Studies range from Biblical character studies, in-depth chapter studies, to discussions of current issues. The laid- back setting is designed for both learning and supporting one another. Meetings are held in a home setting unless the weather is nice, then meetings occur in local, outdoor venues, i.e. Coney Island, local parks. or even Little Italy.